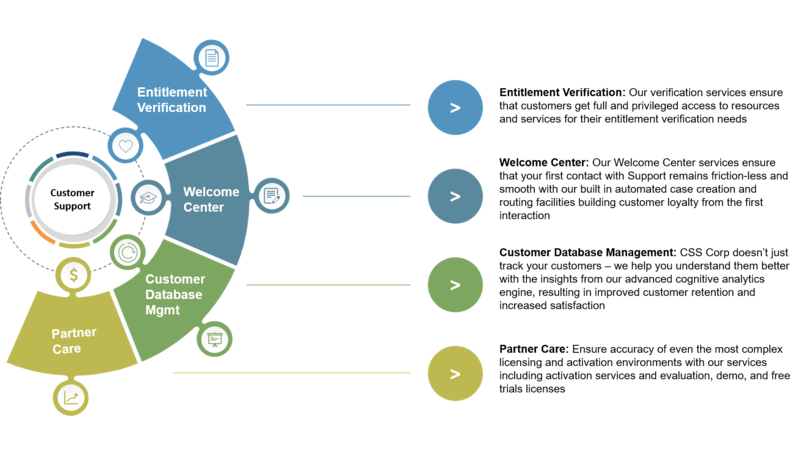 How do we transform your support experience ? Today’s B2B enterprises compete not just on product innovation but on service quality. Superior customer experiences require end-to-end understanding of your products and services as well as a culture focused on delivering customer satisfaction. At CSS Corp, we focus on transforming each interaction with your customer into an opportunity to drive impactful customer experience that strengthens your brand. We are an experienced customer support partner with a global reach that will help you deliver operational efficiencies, identify new service opportunities and create deeper relationships with your enterprise customers.